Ever been to Singapore and all everyone gushed about was the Hainanese Chicken Rice (HCR)? Tourists! 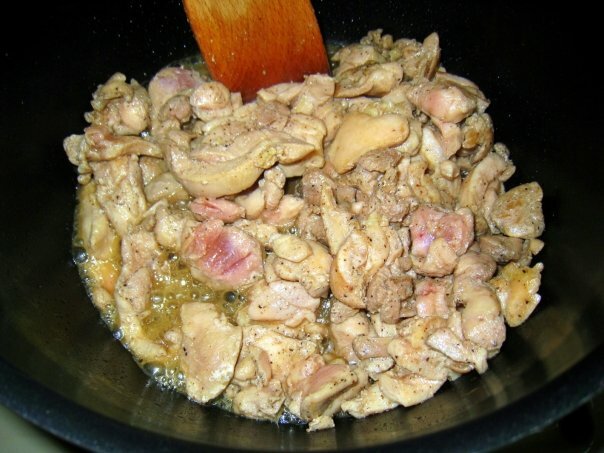 Well, in this entry I aim to shed some spotlight on HCR's lesser-known cousin, Claypot Chicken Rice (CCR). CCR is a one-dish-wonder of mine and this recipe is imparted by my nanny. 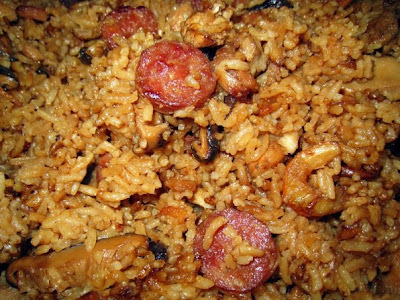 Incredibly tasty, simple and easy to prepare, this dish glorifies my amateur cooking skills. And I shamelessly take credit for it. But keep the compliments coming! The best thing is, you don't even need a claypot, although one is preferred. 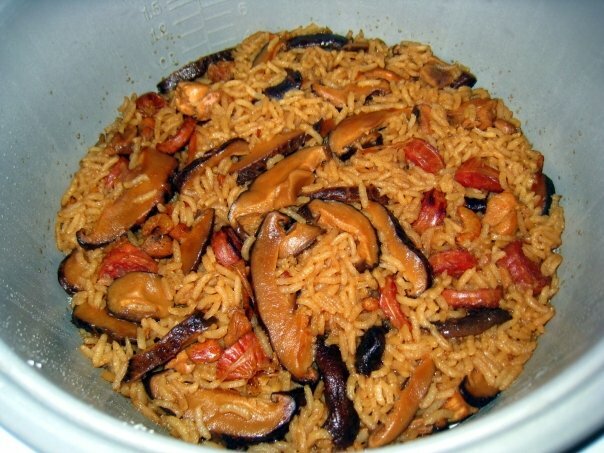 I just cook mine in my 8 cup rice-cooker and it's ready in about 30 minutes (+ another 30 minutes in the cooker to dehydrate the still-wet-and-vulnerable-rice). CCR is usually topped with a crumble of salted fish, which I do not have unfortunately but wish I did. Hmmm... salted fish would be the cherry/whipped cream on my CCR sundae. Step 1. 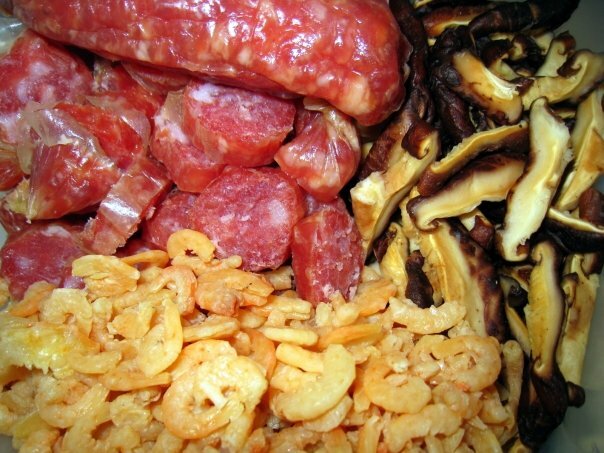 Prepare sweet Chinese sausages, dried shrimp and Chinese mushrooms (soak dry mushrooms in water until they re-hydrate). Cut them bite-sized. Step 2. 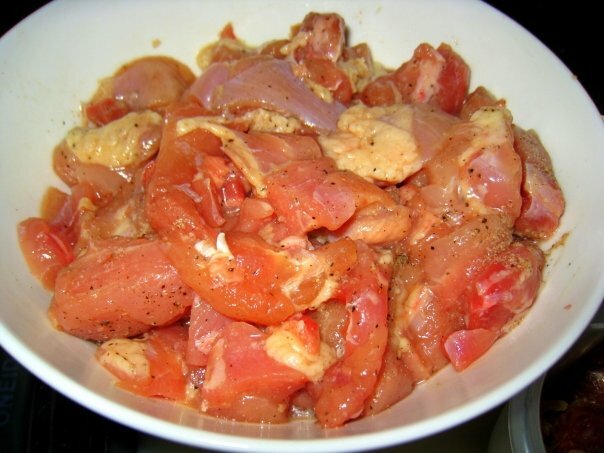 Marinate chicken thighs with soy sauce, pepper and cooking wine for a couple of hours. Step 3. Assemble everything. 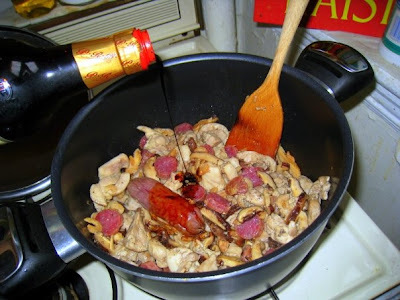 Include 3 cups of jasmine rice, mushroom broth (from soaking chinese mushrooms) with your dried condiments and chicken. Step 4. 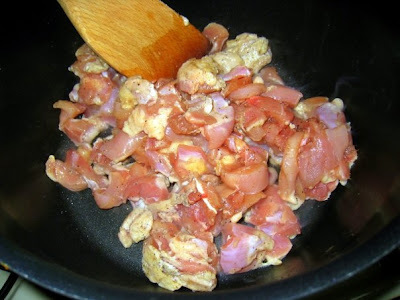 On high heat, fry the chicken, flipping it after awhile and browning the sides. 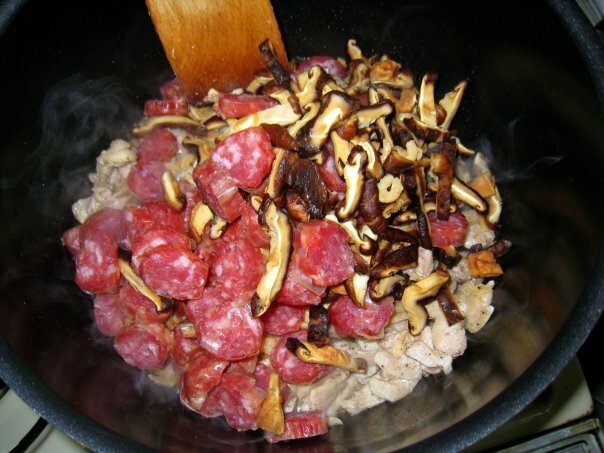 Singaporean Claypot Chicken rice- Prepare sweet chinese sausages, dried shrimp and chinese mushrooms. Cut them bite-sized. Step 5. Cook them 80% and leave a bit of pink. Step 7. Add dark soy. Step 8. 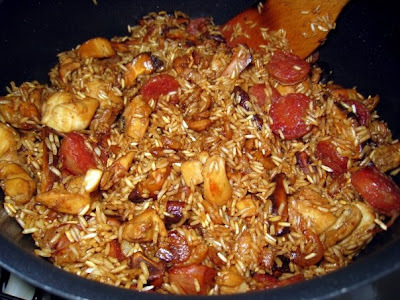 Add the rice and turn the heat on high! I know it's kinda weird to fry raw rice but trust me, this step is crucial. Step 9. Toss toss toss! 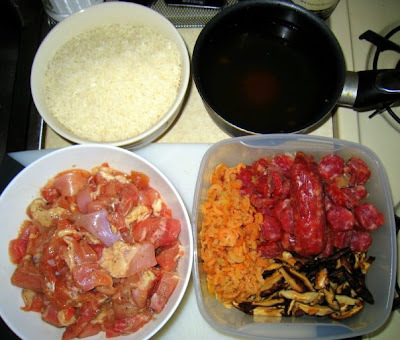 Then place everything in a rice cooker, cover the mixed ingredients with an inch of water and wait for the rice-cooker to work its magic. Step 10. 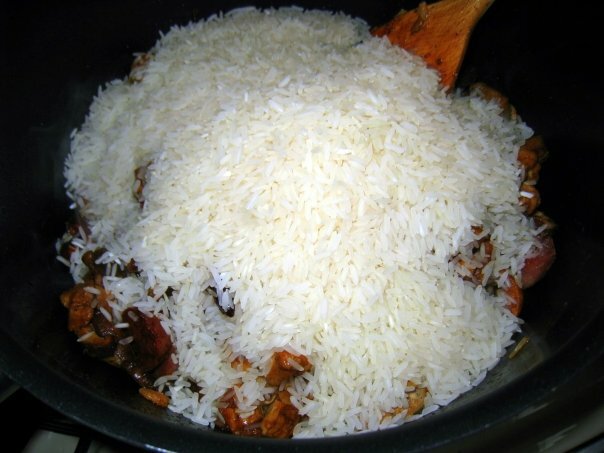 Once done, remember not to stir rice while it's still wet. Wait for about 30 minutes, then mix well. Step 11. Voila! top it with crumbly salted fish and fried shallots (not shown) before you tuck in.